© Copyright Tai Chi Productions 2007. All rights reserved, no part of this article may be reproduced in any forms or by any means, without permission in writing, except for non-profit educational purpose. For example: you can photocopy this article for a paying student or participant as long as this article is not included as part of your charge. 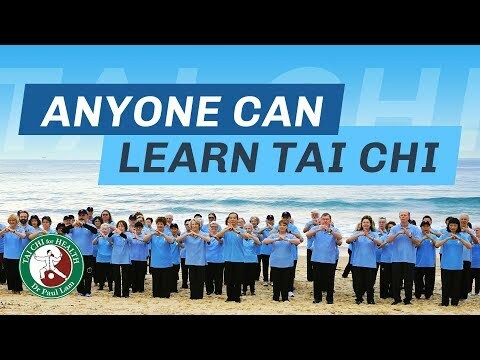 We've made it clear that to improve your tai chi you must understand the tai chi principles and practise regularly and with awareness. Now let's look at some other methods that will help you improve your skills. Some of these will work more effectively for some learners than for others, but they should help most people. The unconscious mind has strong control over us. To improve your tai chi, try using self-guided imagery, an excellent technique to train your unconscious mind. For further information, see chapter 12 Teaching Tai Chi Effectively by Dr Paul Lam. This was summed up perfectly in an inspiring talk by Sheila Rae, a tai chi and qigong teacher: "There comes a point in our practice where we must learn to let go of the form, the perfectionism, and of the ego." Letting go and allowing nature to take effect is vitally important. Read Sheila's article on chapter 12 Teaching Tai Chi Effectively by Dr Paul Lam.